This past week, the park was alerted to a very interesting piece of media documenting an event in Fredericksburg’s history. Bill Jenney of the Vermont Division of Historic Preservation (VDHP) contacted the park requesting information about President Calvin Coolidge’s visit to Fredericksburg in 1928. VDHP is involved in exhibit planning for the President Calvin Coolidge State Historic Site in Plymouth, Vermont and one of the displays might discuss the president’s keen interest in the American Civil War. During an exchange of e-mails, Bill provided us with a link to what may be the first film footage of Fredericksburg. The raw outtakes are from a newsreel made during Coolidge’s 1928 visit to dedicate the local military park. It was appropriate for Coolidge receive an invitation to the park’s dedication, as he had signed the bill that created the Fredericksburg and Spotsylvania National Military Park on February 14, 1927. The National Battlefield Park Association, which was comprised of influential local citizens and had been instrumental in lobbying for the park, contacted the White House. The president accepted and agreed to deliver the keynote address at the celebration on October 19, 1928. Coolidge and his entourage arrived in Fredericksburg on a special 2:35pm train. A large crowd greeted them at the station where the Fredericksburg Elks Band played “To the Colors” and the local National Guard unit fired off a 21-gun salute with their French 75-millimeter field guns. The president and first lady climbed into a convertible Lincoln touring car, driven by manager of the Fredericksburg Motor Company Emmett R. Colbert, and made their way up Main (Caroline) Street. Preceded by state motorcycle policemen and flanked by secret servicemen, the motorcade turned onto Amelia Street and then again onto Princess Anne Street, making its way south to the Fredericksburg Country Club. Click the image below to watch the silent raw footage of President Coolidge’s visit to Fredericksburg. The first eight seconds of the footage shows the president’s car traveling through the 900 block of Main Street. Huwill Stores (919 Main Street) and John F. Scott’s hardware store (today the site of River Run Antiques) are clearly visible in the background. The film then cuts to a twelve second clip of the president’s motorcade heading south on Princess Anne Street and through the intersection with National (Lafayette) Boulevard. James T. Horton’s filling station is visible on the corner. Clicking on this image will take you to the raw film footage of President Coolidge’s 1928 visit to Fredericksburg. The footage is part of the University of South Carolina’s Moving Image Research Collections and was made available through its library website. Note: Donald Pfanz’s new book is out: The Letters of Richard Ewell. Note 2: see the bottom of this post for a nifty little update. The last few weeks have been busy ones, leaving little time for mysteries or conundrums in the wash of preps for the Fredericksburg 150th. But it’s also been uncommonly productive of new things coming in or being learned, including several new images we’ll share soon. 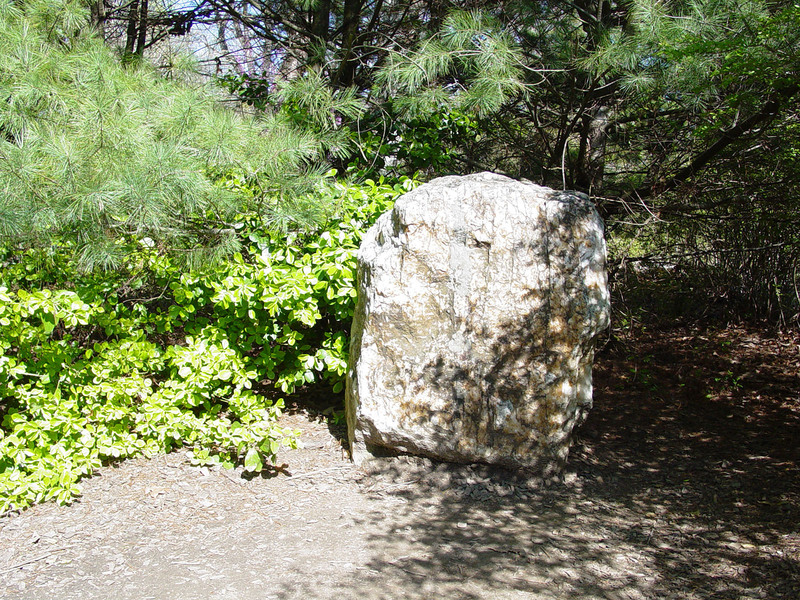 Yesterday a large boulder of white quartz rock, from near the Wilderness, was placed to mark the spot where Stonewall Jackson received his death wound. A simple inscription will be put on the stone. The Rev B.F. Lacy, of Missouri, Jackson’s chaplain, originated the project. Date solved: September 22, 1879. The promised inscription never materialized. 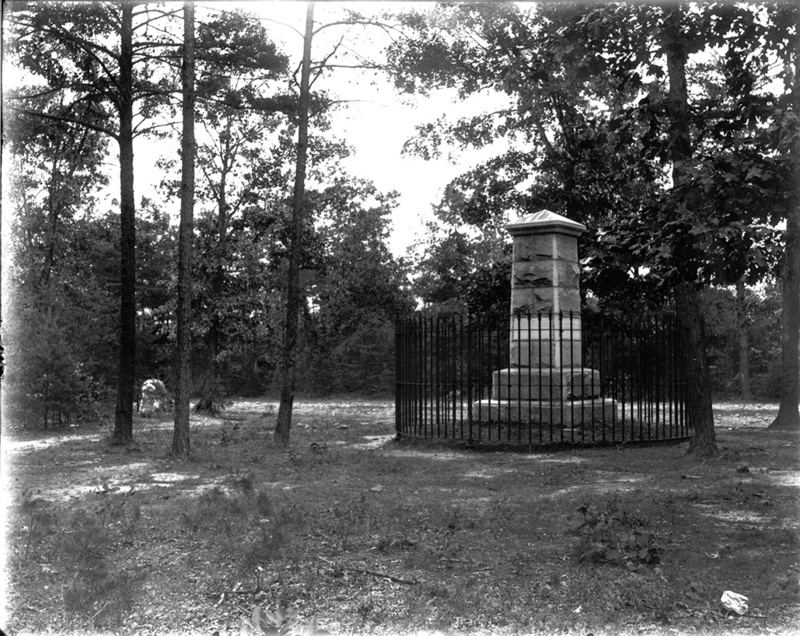 Instead, an association of Confederate veterans formed to erect a more elaborate, suitable memorial to Jackson’s wounding. It’s easy to speculate that the ex-Confederates were spurred in their commemorative initiative by the impending placement (by Yankees) of a monument marking the death of Union general John Sedgwick at Spotsylvania. In the face of that, Jackson surely needed something more dignified than an unhewn, blank rock. 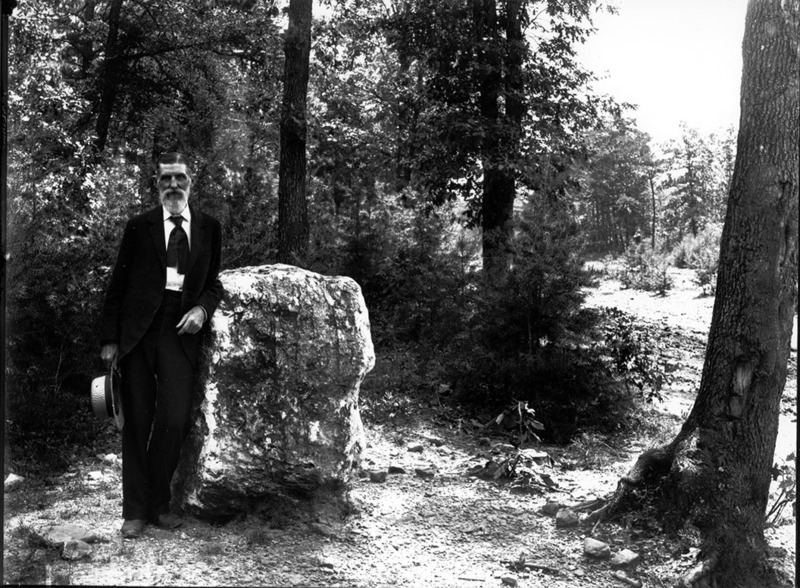 And so in June 1888, more than 5,000 spectators gathered to dedicate a new memorial, and the Jackson Rock became a footnote, its memorial-esque origins rarely understood and its presence often overlooked. So it remains, though the stone sits just a few dozen yards south of the Chancellorsville Visitor Center.